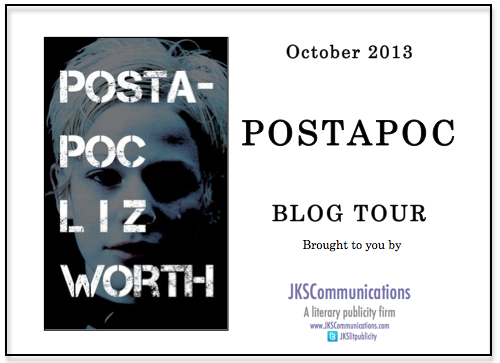 Last month I read PostApoc by Liz Worth and wrote a review of it. (Cliffsnotes: I really enjoyed it, click here to read the review and find out why!) After sending in my review - part of the deal when you're given free books - I was asked to join the blog tour. Today marks PostApoc's publication, which means packages have begun their meandering travel across the United States to some friends of mine who are getting Hallowe'en presents. I'm chuffed to share some non-spoiler questions with you that Liz answered to give us some insight into the creation of this novel. The book is dark and the Q&A itself contains references to suicide, self-destructive behavior and drug-abuse, so please read with care. 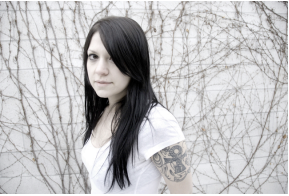 "Since the release of her ode to the underground music scene, Treat Me Like Dirt: An Oral History of Punk in Toronto and Beyond (2009, Bongo Beat/ECW Press), Worth has been praised for her unique perspective and acute attention to detail. Channeling Lydia Lunch, Patti Smith and Jim Morrison, she once again bridges the gap between literature and music with a surreal style of writing and stream-of-consciousness pacing." When did you start writing PostApoc? I was actually writing another book at the time. I was coming off of Treat Me Like Dirt’s release, which was a really busy time for me. I was burnt out by the end and wanted to start working on something totally different, so I decided it was time to tap into my creative side and try writing fiction, which I’d always wanted to do but had never fully put my focus into. I started working on a horror novel, and I moved apartments. I’d been living in a really weird, dark apartment in a busy downtown area for a few years by then and it was time for a change. I moved to a part of Toronto I’d never lived in before, or spent much time in, and when I got to my new neighbourhood, I thought the change of scenery would help keep me inspired and focused on my horror novel. Instead, I started hearing a young woman in my head. You know how fiction authors say that their characters talk to them? Well, that was happening to me, except I didn’t know it yet. I started writing down little lines as they popped up, and the more I listened, the more the neighbourhood around me started to inspire me. Moving apartments was very symbolic for me. I’d been living with depression for many years by then, and in a lot of ways my old apartment said a lot about my mental state. I couldn’t sleep there, never felt comfortable, never liked it, but still I stayed for three years. It was in that apartment one day when I woke up and said I didn’t want to feel that way anymore. I’d been resistant to therapy for so long but I decided it was time, and once I started therapy I started making other changes: to move, to focus on my creative side, to be the kind of writer I’d always wanted to be. So even though PostApoc is a fictional book with fictional characters and fictional situations, it’s much more personal than that to you? There was a time, in my mid-20s, when I was feeling particularly low and I would worry about the end of the world. I would walk down the street and feel convinced that everything would be over any day now. The apocalyptic scenarios in PostApoc are reflections of what I thought was right around the corner. I didn’t base the music scenes in PostApoc off of anything I have ever experienced, but the idea of a cult-like subculture reflects certain pieces of alternative and mainstream culture that I took literally when I was younger. Growing up in the ‘90s when heroin and suicide seemed like daily conversations, you could almost believe that such things could exist. Things felt very wild back then. Young people were very careless. A lot of the kids I knew then did way more drugs and lived much more dangerously than any adult I know now, and I don’t think that had to do with age. I think that had a lot to do with the time we were living in. Suicide and self-destruction have always been themes in my poetry and short fiction, as well as in some of the articles and blogs I’ve written about my own personal experiences with mental health. Ang, the narrator in PostApoc, deals with a lot of these same things, and I think PostApoc was a result of me processing a lot of my own thoughts on those subjects. 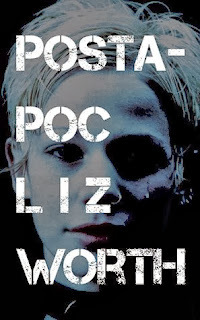 When I first finished PostApoc, I thought it might be the last time I explored suicide in my writing, because it felt like I’d gone so deep with it. For most, talking about these types of issues is incredibly difficult. How did you overcome that? I didn’t have a strong support system at home growing up. I’m an only child, and there is a huge generation gap between me and my parents, who were both born in 1936. To them, talking about any kind of struggle within the family was shameful. They grew up in an era when everything needed to look perfect from the outside, no matter how badly it was crumbling inside. And mental health was definitely not something anyone talked about. I started struggling with depression and self-harm at 13, and being a teenager is tough enough on its own. But I very much wanted to be open, to talk to someone about what I was going through. I think that’s natural for most people – we look for somewhere to turn, but sometimes, when we get shut down, either by our parents or by the society we live in, we either mirror the reaction we see and decide to bury our feelings, or we keep trying other options until we find somewhere we can be heard. I didn’t have the kind of relationship with my parents where I could just say anything, so I tried friends at school, but it was hard to find other kids who could relate to what I was going through. I had a lot to say about my experiences, and a lot of frustration to work out as a result of them, so after I’d been writing professionally for about five years I decided I was going to use the platform I had as a writer to say the things I didn’t get a chance to talk about when I was younger. I was a bit nervous the first time I went out there with it, but I had the belief that the more we talk about these things, the easier it will be for those personal conversations to happen among family and friends. Can you tell us a little about the influence of music on PostApoc and your other work? I have always been interested in the crossover of mediums that was found in the first wave of punk, when it wasn’t just about music, but also fashion, fanzines, photography, art, performance, and poetry. So I have long carried that as a source of inspiration for everything I do, whether it’s just spending an afternoon at home re-styling an old t-shirt or thinking up an idea for a weird novel. I love the crossover that artists like Jim Morrison and Patti Smith have made, where they did both music and poetry, and I love that we still see that with younger artists like James Franco and Amber Tamblyn. They aren’t musicians, but they are showing up creatively in different ways. I find that music is very fragmented now, but so is a lot of creative culture. I go to a lot of literary events and the people I see at a reading are not the same people I’m seeing when I go see a band. And that’s not to say that we don’t all cross over in our tastes, but our participation in these things seems to have become very specific, at least where I live. So I like to combine influences from different mediums in my writing, like music, and not just take influence from literary tradition. I do like background noise – when I was growing up I always did my homework in front of the TV – but I do choose my background noise more carefully these days. When I was writing PostApoc I mostly listened to “Treasure” by Cocteau Twins. I can’t listen to music that has lyrics in it when I’m trying to write, because I end up focusing on the words I’m hearing. I’m very much a lyrics person, even if a band just adds them in as a meaningless afterthought. But Cocteau Twins have such an ethereal quality, and even though the vocals are very prominent they are often non-lyrical, so they aren’t distracting. Usually, though, I write in silence at home in the morning, or write somewhere outside in the nice weather, where my thoughts can play off the street sounds. What was your intention of writing PostApoc? I don’t know that it was always so clear from the start. It probably changed a lot along the way. First, I just wanted to do something creative for myself. And then I felt like I had to, because all of the words for it kept showing up in my head and they had to go somewhere. The more I worked on it the more I liked the idea of doing a poetic, apocalyptic punk rock novel. What’s Ang’s message for readers? I can’t say that Ang is a positive character. She isn’t really a hero. She is very confused, and very lost, and for her being lost is as much a result of her physical state as it is about the destruction around her. But she is loyal, and she is brave. She sticks things out, and in the process of that she surprises herself because she realizes she has more resiliency than she expected. She has gone from being someone who only wanted to die to being a survivor in a world that has turned horrific. 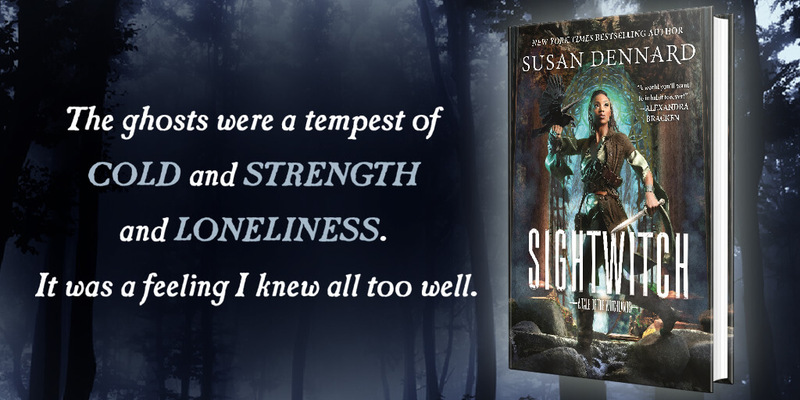 If you missed the link to my review, you can click here to read it.